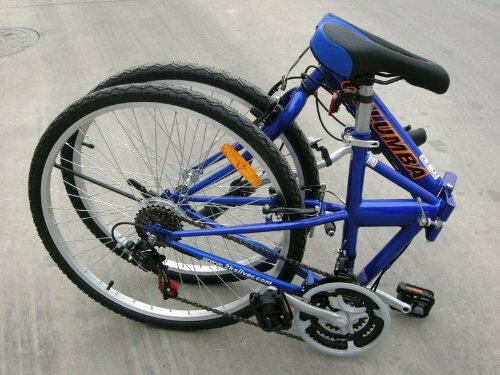 The search of best folding mountain bike might be a challenge since most fold-up bicycles are commonly designed with 16" or 20" wheels to optimize the portable and light-weight feature. However, the collapsible mountain cycles are getting more popular nowadays due to increasing demand on more off-road riding styles. In this post, we pick up folding mountain bicycles that receive most complements over time. Don't forget to check out our other guides right here!!! Let's go into detailed reviews of each model. There are always both advantages and disadvantages of each product, thus you need to determine whether pros are able to outweigh cons and whether they fit your riding purposes. Positioned at the high-end price, this Montague is indeed a beast that allows riders to go on rough trails or even do dirt jumps with ease. Designed to meet military felicity, it is durable enough to withstand a drop from a plane via parachute. The outstandingly strong frame made with Folding Integrated Technology (FIT) is the most favorable specification of this bike, accommodating the capability of full suspension. 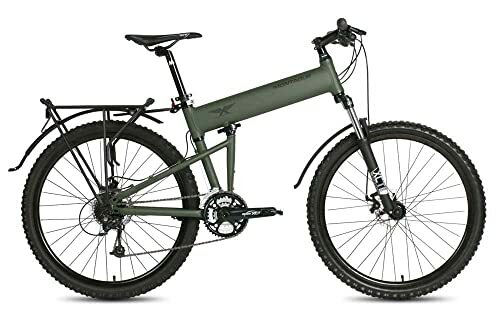 The ride on this Paratrooper foldable mountain bike is very stable and well-handled even on downhill trails. Suspension lock-out feature keeps the forks to stay still so that riders can go faster without much effort. Disc brakes are strong and smoothly responsive on both front and back. The adjustable seat confirms comfortable riding postures. With the quick release frame, users can fold the bike effortless within 30 seconds. The bike is close to full assembly when delivered, it just requires attachment of pedals and front wheels. 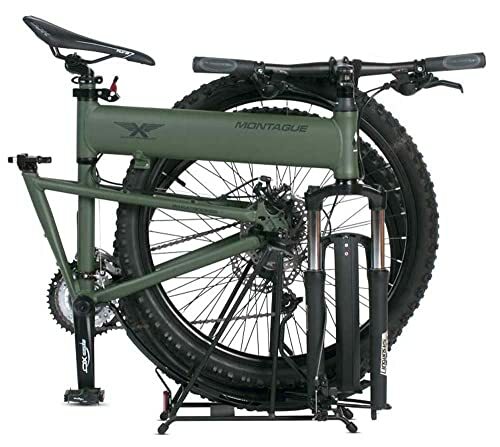 In short, Montague Paratrooper is a solid and durable folding mountain bike exclusively built for off-road riding. It has unbeatable riding quality among all fold-up bicycles. Montague also introduces the upgraded version called PARATROOPER PRO. 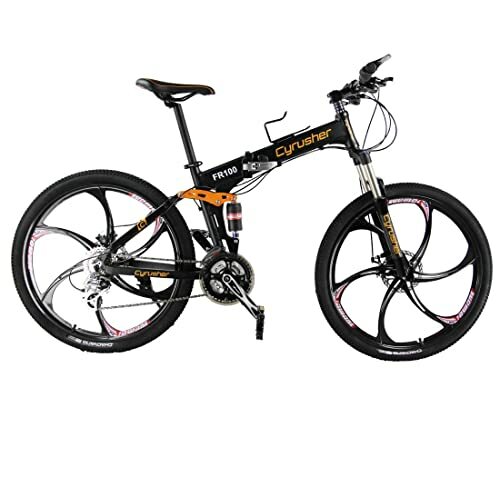 Cycrusher FR100 is another proper folding off-road bicycle with an eye-catching look. Equipped with the soft tail full suspension, the bike performs excellently the shock absorption feature when rolling on different types of road condition. The riding quality is also assured by the lock out fork on the aluminum frame, proving the stability and efficient control. Speaking of the frame, it is strong enough to withstand a noticeable amount of force. The amount of 24 speed allows riders to ascend high hills without much effort. It also comes with an option to update to 27 speed or change into 21 speed. Columba SP26S is a very affordable full-size folding bike. It rides fast and steadily on both flat roads and hills, suitable for both casual and adventure riders. The folding mechanism is very convenient making it stand straight itself on the ground when being folded up, thanks the alloy kickstand. The Kenda thick tires plus alloy rims help to avoid bumpy rides. In addition, gear alterations are quick and comfortable. It comes as 90% assembly thus minimal set-up is required. 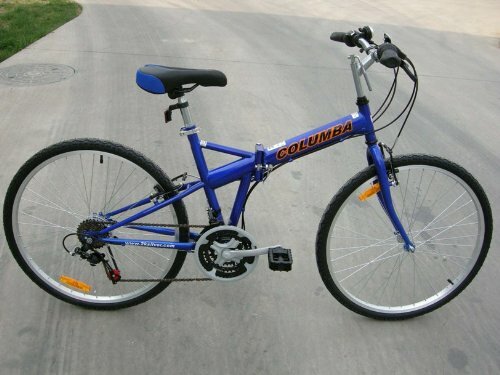 Click here to read our detailed review on this COLUMBA SP26S bike! This V2 is an updated version improving limitations of the previous model. From our test rides and perspectives, this is more likely to be a hybrid bike rather than a mountain bike. 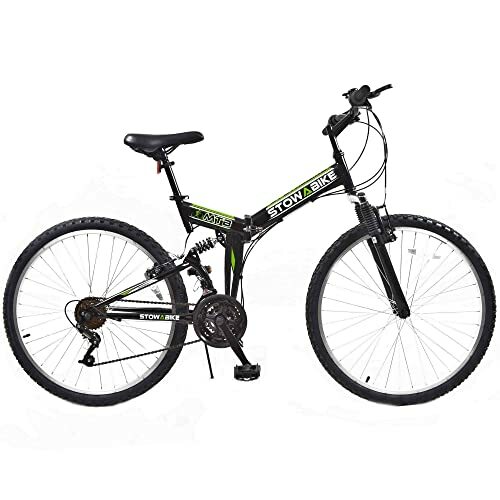 Its steel frame with a wide range of 18 speed allow riders to go confidently on both on and off-road terrains. We consider its robust Wanda tires as the biggest advantage about this full-size fold-up bike. Derailleur shifting is also such a breeze. 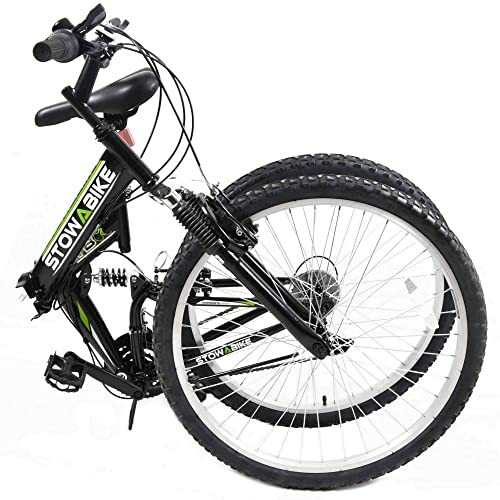 With such a low price tag, this Stowabike MTB V2 is a fairly well-put folding mountain bicycle. However, it might not be strong enough for challenging long-distance rides. Click here to read our detailed review on this STOWABIKE MTB V2 bike!